So now you’re in a situation trying to find the best Toronto bed bug exterminator after making the horrifying discovery – you have bed bugs. Where to begin? No question, this is always the best place to start. If someone validates having used a pest control company to exterminate bed bugs, had a positive experience, and most importantly, saw (or felt) no more traces of bed bugs in the coming weeks and months… then there should be no hesitation in starting here. Give the company a call, have a conversation, check on cost and availability. Even though Swift-X Pest Control would like to be your top choice, we still recommend going the most comfortable route – a trusted referral. Of course, we always advise to call a couple of places to make sure you’re not overpaying. Another reason would be availability. We have customers really wanting a same or next day service to treat their house or apartment. Depending on the week and schedule, some companies might be able to accommodate a quicker turnaround time, which is ideal. Some companies boast a straight heat treatment. This can only effective if the heat is reaching over 49 degrees Celsius and maintaining this level for at least an hour. One concern might be: what happens to those bed bugs that have found their way into a wall, not feeling the full effect of the heat? Once the treatment is done and the room temperature drops to normal, those bed bugs will be back in business. Again, we recommend high velocity steam plus a spray treatment with lasting residual strength to take care of those stray bugs that go into hiding. Most companies offer a guarantee ranging from 30 days, to 3 months or more. Request that you see this in writing on the invoice, and try and ask the representative what exactly will happen if you discover bed bugs a month later. Will the company come back without hesitation? How quickly will they prioritize doing a second treatment? This is often overlooked, with the 1st priority needing to be the elimination of bed bugs. We had a customer tell us that her apartment underwent a treatment a year ago, and though it was successful, her place was left in complete disarray – furniture turned upside down, bed frame and mattress in the living room, etc. Any pest control company taking pride in quality customer service, should not leave someone with the burden of lifting and moving heavy furniture. This is something worth asking about before committing to a treatment. A thorough job should include full treatment and cleanup. You will have gone through enough stress already, and it’s nice to come home to relax again in a bed bug free home. If you have any questions, we always welcome your call or email. If we happen to be overbooked for treatments, Swift-X will kindly refer you to another reputable company that we have validated to be top notch. 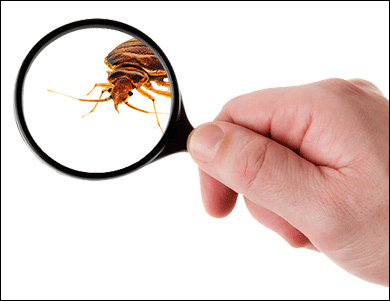 We understand the urgency of wanting to be taken care of once you discover bed bugs in your home. We’re all in this together, fighting the war on bed bugs in Toronto. We hope you can use some of our points here as a guideline when choosing the right bed bug exterminator. Good luck! Is Toronto losing the war on bed bugs? Swift-X Pest Control. Copyright © 2018. All Rights Reserved.